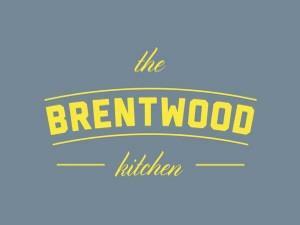 The Brentwood Kitchen01277 230177work CafeThe Brentwood Kitchen offers food made lovingly for everyone. Our philosophy is simple; we combine the best fresh ingredients, efficient, friendly service and a feel good feeling. Open weekdays for breakfast from 8.30am (weekends from 9am) and serving lunch from 12pm. Eat in or take out, the choice is yours. Plus we now serve alcohol and we're open in the evening for TBK After Dark on Fridays! We want you to sit, relax and enjoy our home cooked food (over a glass of wine or cup of coffee) whilst your little ones play in our children's corner - which is filled with gorgeous books and toys. And if that doesn't work we have mini iPads for the little ones behind the counter, so just come up and ask. We bake all of our cakes fresh and by hand in our cafe. They're then served fresh in yummy hunks and slices to our cafe customers. We also bake whole cakes to order, they are perfect for birthday parties, christenings or just to treat the family. We also have a deli that is brimming with fresh olives, meats, cheeses and breads. We have scoured the country to select the best and most scrumptious suppliers for The Brentwood Kitchen. Many are locally sourced and frequently award winning to boot. Love Food? Then you'll find everything you like and more, at The Brentwood Kitchen. The Brentwood Kitchen offers food made lovingly for everyone. Our philosophy is simple; we combine the best fresh ingredients, efficient, friendly service and a feel good feeling. Open weekdays for breakfast from 8.30am (weekends from 9am) and serving lunch from 12pm. Eat in or take out, the choice is yours. Plus we now serve alcohol and we're open in the evening for TBK After Dark on Fridays! We accommodate baby showers, hen parties and private hire. Mon-Thurs: 8.30-5.30pm (after 5.30pm for adults only).